Ubisoft Company had published the popular action-based Far Cry Game in the month of March in 2004. Since then, the game witnessed massive sales of about 730,000 units even within the period of four months after its release. The game incorporated large numbers of interesting elements related to wars, actions and weapons. After the entry of its first version, Ubisoft experts often launched its other advanced versions followed by its latest series as Far Cry 4. In fact, in each of its new versions, experts have incorporated countless special features, which had made the game far better as compared to its previous versions. Hence, with the update related to the launch of Far Cry 5, enthusiasts worldwide given many wants and demands for the game. 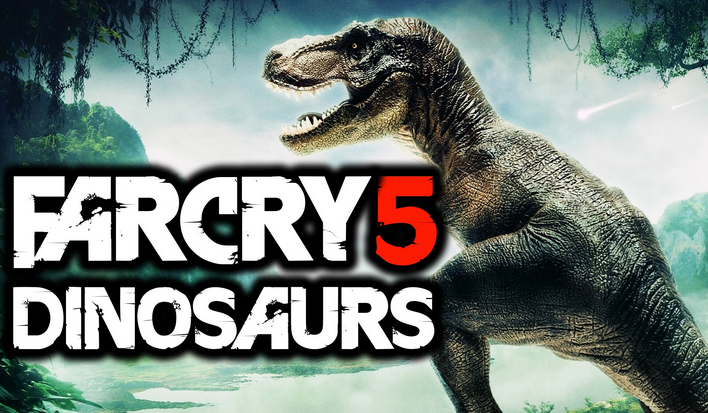 Fans of Far Cry series has recently given a huge wish list of various features over varying websites to include in the new series named as Far Cry 5. In addition, many people have highlighted their wants in the upcoming Ubisoft-based soft games in large numbers of online gaming forums available over the internet. In this article, gaming analysts have prescribed about some of the highly demanded features expected in Far Cry 5. Majority of Far Cry fans want for relatively more numbers of towns, outposts and places to explore in the latest Far Cry 5 version of the game with various other exciting features, like lakes, mountains, and rivers. In addition, individuals want for more curves in the underground water with thrills and beauty. Regarding shots and survival systems, gaming lovers from different parts of the world want for a unique type of survival system. In other words, the gaming system should be of real like; for instance, if any one shots you in your right arm, you could not be able to pick your gun with the same arm. Furthermore, Far Cry 5 fans want for the implementation of survival system to get oneself from tiredness, thirst and hunger. Another prime feature wish list of this game is the improvement in the actual hunting system and making it relatively more interesting as compared to previous versions. For this, people prefer to include few traps and tactics to catch animals, while animals should compulsory smarter than before. Many enthusiasts of Far Cry Game have wanted to add exciting weapons in the new series, like shotguns, pistols assault rifles, rockets, sniper rifles, LMG or HMG and bows and similar others. Along with the variations in weapons, many individuals have preferred for the addition of new vehicles, which are snowmobiles, dirt bikes and mine carts. Even the game would enhance the excitement and fun by adding advanced vehicle tanks and helicopters. Lastly, many Far Cry 5 games want for effective accessories, such as boots, coats, hats, gloves and various other player clothes to allow them in running faster than before. Meanwhile a, farcry5news.com wrote that Far Cry 5 will likely arrive in 2016 based on the release history of previous SIMS game. You can share your expectation from next generation in the comments below.